AKG N60 NC review | What Hi-Fi? Making a name in the noise-cancelling headphone market is an uphill struggle for any newcomer. The Bose QuietComfort 25s (and the QuietComfort 15s before them) have not so much dominated as owned this particular corner of the market for years. Though they have met their match for sound quality on a couple of occasions, they’ve remained out on their own in terms of their sound-blocking ability, which has given them the edge. But not any more. Say hello to the new AKG N60 NCs. Flick the switch on the left ear cup and office hum and train noise is almost completely drowned out, so you get a real sense of seclusion – not quite the ear-sucking silence the Boses promise but very close indeed. If anything, the transition feels more natural. Play even the softest Joni Mitchell track and you’ll be hard-pushed to hear any keyboard tapping or train chugging going on around you. If you want to be left alone with a sound that’s clear, detailed and musical, then the N60 NCs are all of the above. 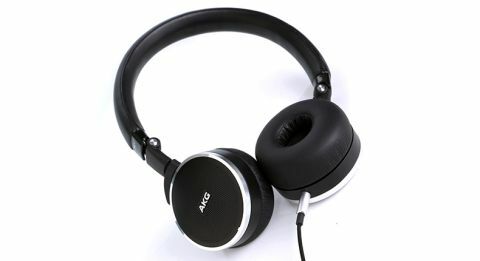 Clearer and punchier than the Boses, they value entertainment as much as the next AKG headphone. In Seasick Steve’s Walkin’ Man, guitar strings come to life and strumming is dynamic and textured. The AKGs convey his gruff, heartfelt vocals, finding a happy medium between its thickness and storytelling-like expression. The ever-present beat canters along in good rhythm with decent thump and timing. Proof that the AKGs can handle more than just a man and his guitar, the folky fusion of fiddles and banjos that is The Duhks’ Down to the River all work in harmony for convincing cohesion. They lap up the track’s cheerful mood, juggling the brisk string melodies and guitar tab with precision and enthusiasm. Nothing seems to upset their fine tonal balance. End with Drake’s Hold On, We’re Going Home and either end of the solid midrange, the bassline slaps with apt intensity while cymbals simmer with just the right amount of bite and clarity. The N60 NCs promise 30 hours of battery life in active noise-cancelling mode, which AKG points out would cover a return flight from New York to Hong Kong. We almost reached that duration without needing to top up, but when the end is nigh, the supplied USB charging cable – handily bundled with a flight adapter and carrying pouch – comes to your aid. Of course, you can listen in passive mode too, but sound creeps in significantly. The compact earcups – nearer to the size of the brand’s tiny K451s than its Y50s – don’t physically block sound to the same extent as the over-ears. They cling tight to your ears though, and being able to collapse inwards makes them immensely portable and perfect for a jacket pocket. Their status as the ideal travel companion is cemented by their universal one-button remote and mere 150g weight, which their solid build belies. Cosmetically, these minimalist headphones are given a touch of class with aluminium trimmings around the subtly perforated black cups and a neat leather-wrapped headband. They only come in black, but we can’t imagine that would put anyone off. Ultra-portable, well isolating and entertaining, the AKG N60 NCs are one of the most desirable noise-cancelling cans we’ve come across.